If you need a specific 800H-W100A firmware or series, then we probably have it. Please call or email us your request. 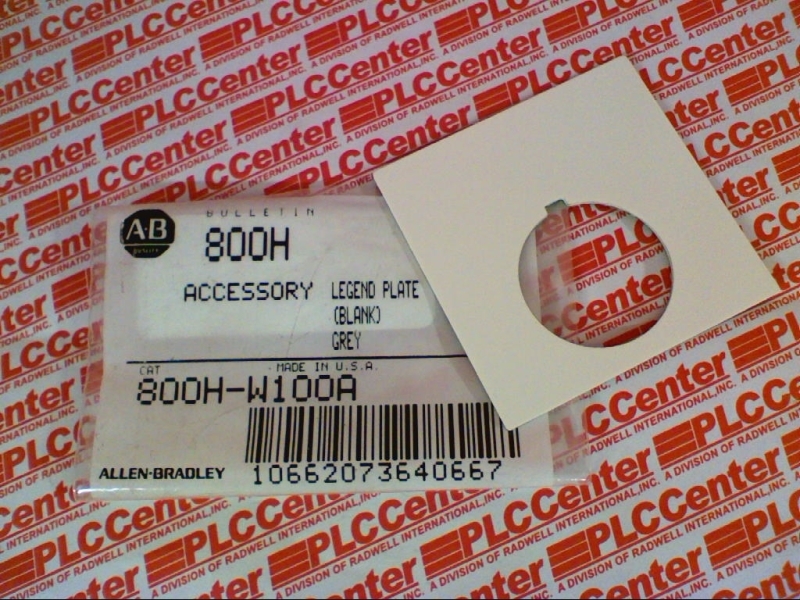 AUXILIARY CONTACT BLOCK, FRONT MOUNTING TO BULLETIN 100-C - CONTACTORS, 2-POLE, 0 N.O. + 2 N.C.
AUXILIARY CONTACT BLOCK, FRONT MOUNTING TO BULLETIN 100-C - CONTACTORS, 2-POLE, 2 N.O. + 0 N.C.